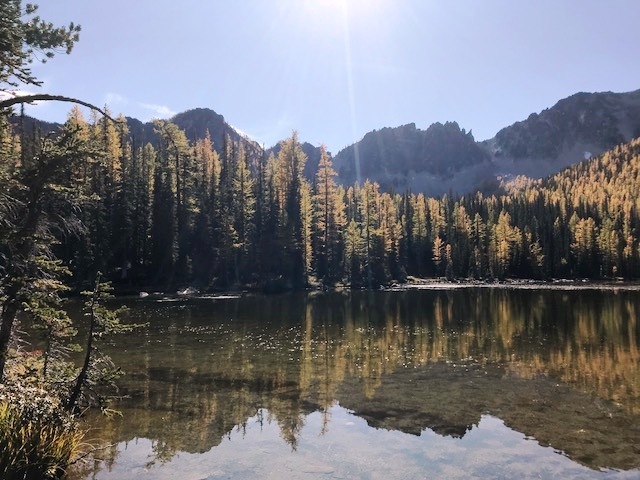 Monday October 16th was a beautiful day at Crater Lake and the Larch trees were showing their fall golden glory! 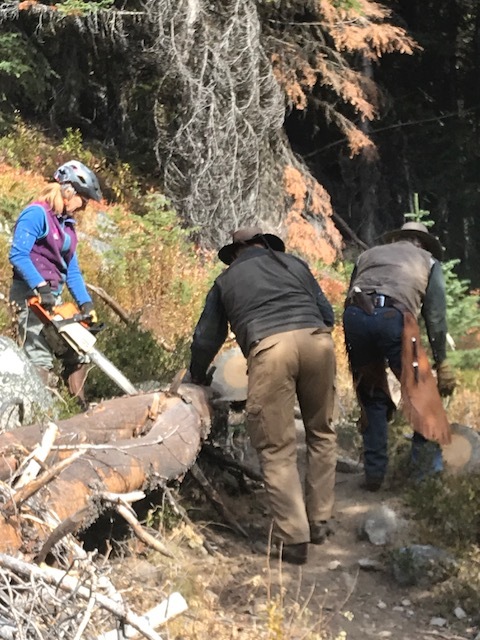 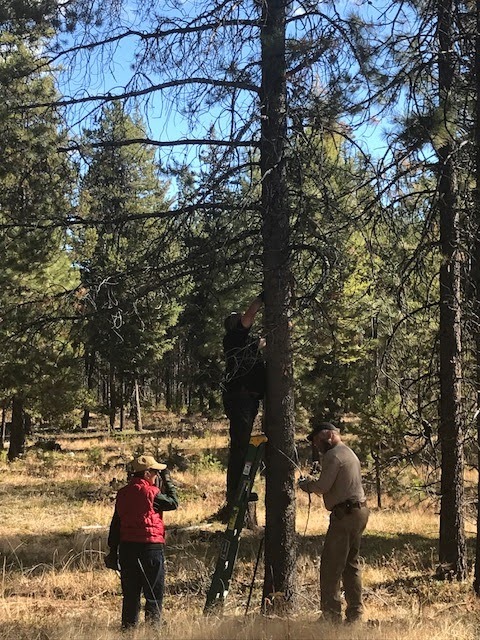 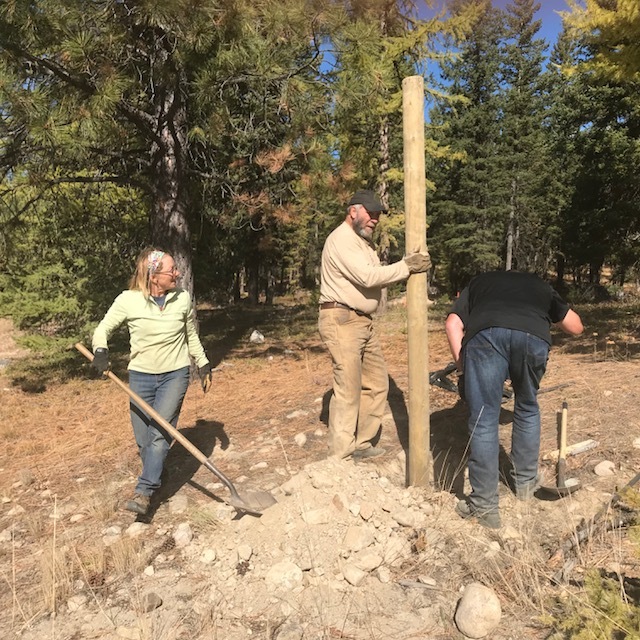 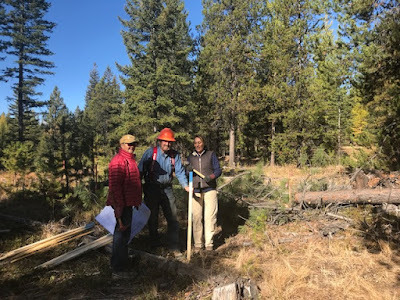 MVBCH members Gina and Dave Johnston, DK Williams, Mark Brantner, Mary Pat Bauman, and President Cathy Upper worked hard to see the view by cutting out 27 trees while climbing 2000’ over 4 miles up the Crater Creek Trail. 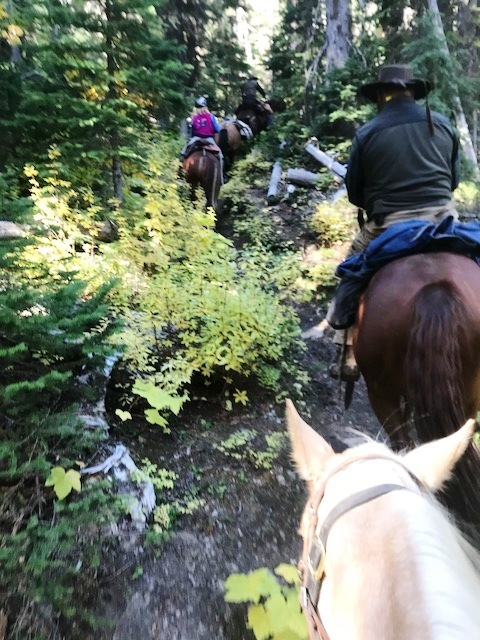 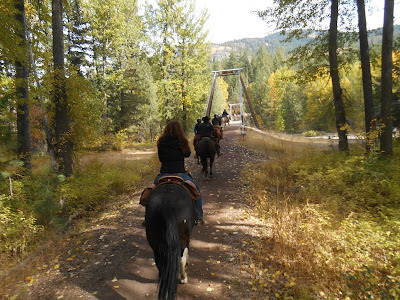 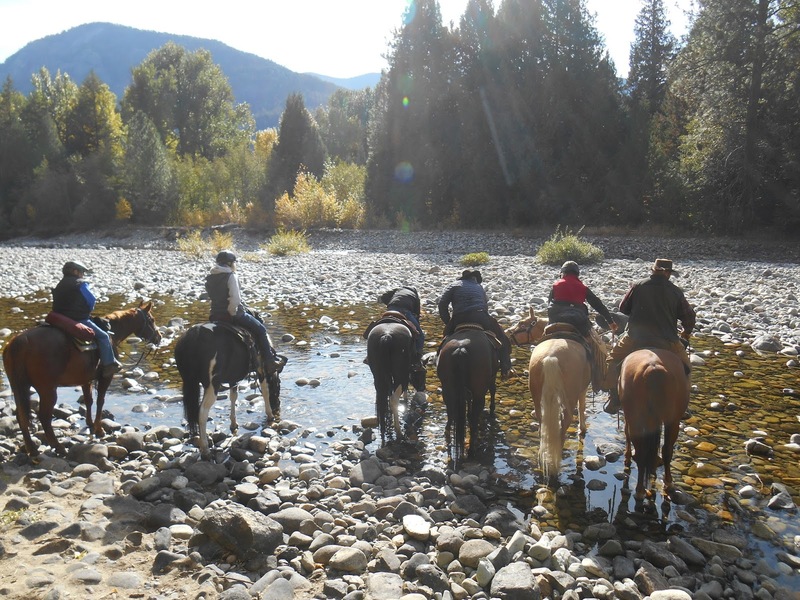 Over the past several years it has become an informal but much welcomed MVBCH tradition to save the last three rides of the season especially for viewing the beautiful fall colors of the Methow Valley. So, for October 9th, 10th, and 11th, 5 MVBCH members (Julie Johnson, Mark Brantner, Dave and Gina Johnston, and Betty Wagoner) camped at the Goat Creek Sno Park in the north valley to be close to the favorite trails known to have the best colors. 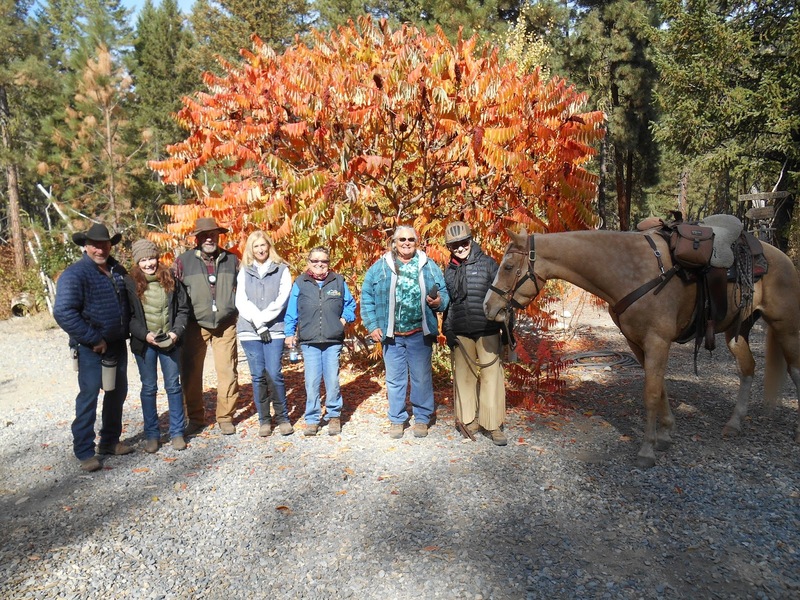 On Monday the 9th, members Anita Ellis and Mary Pat Bauman joined the “hardy 5” riders who had camped at the Sno Park and they all rode to Mazama for their morning Latte treats.